There is a cafe next door to where I work and as the creature of habit that I am I always order the same lunch when I decide to buy out. It's called the Italian, there is pesto mayo a sourdough roll and juicy sundried tomatoes amongst others. 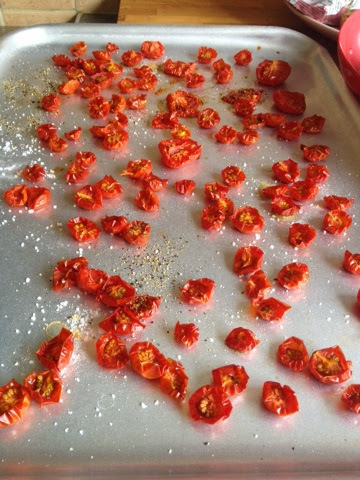 Sundried tomatoes can a success or a complete disaster all chewy and bitter. 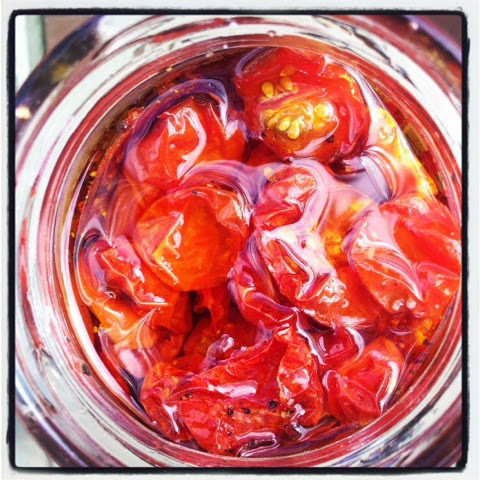 So this summer when I had a bumper crop of juicy cherry tomatoes in my mini greenhouse I decided to make the most of them and make my own sundried tomatoes. It can be a slow process but well worth it I promise. Start by pre heating your oven to 90'c. Wash your tomatoes and slice them all in half, then place them all on large baking tray. Pop the tray into the oven and set your timer for 2 hours and get on with joyous task of cleaning the house. 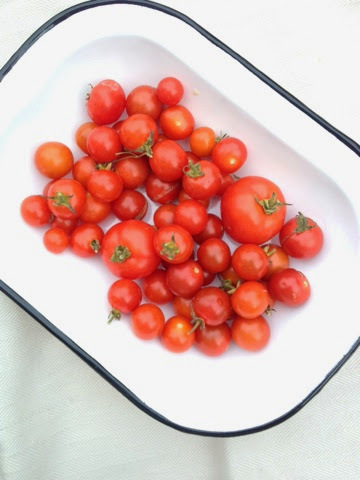 After 2 hours your tomatoes should look shrivelled but not cremated by roasting them on a low heat it will intensify the flavour while keeping them juicy. Spoon the warm tomatoes into a sterilised jar and then pour in your olive oil until it covers the tomatoes. By doing this while the tomatoes are warm the oil will infuse with the tomatoes to make a gorgeous dressing or drizzle for future sambos YUM.